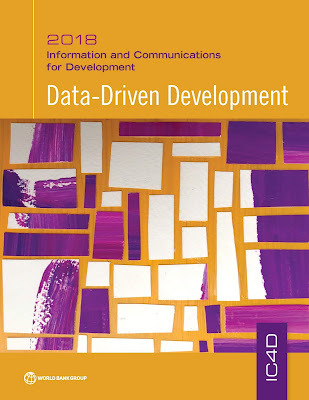 The Information and Communications for Development report analyses how the data revolution is changing the behavior of governments, individuals, and firms and how these changes affect economic, social, and cultural development. This is a topic of growing importance that cannot be ignored, and the report aims to stimulate wider debate on the unique challenges and opportunities of data for development. It will be useful for policy makers, but also for anyone concerned about how their personal data is used and how the data revolution might affect their future job prospects. Many countries in Sub-Saharan Africa seek to diversify their economies with information and communications technologies (ICT), including expanding ICT as a sector and increasing its use in enterprises. One of the core ICT infrastructure elements is data centers. These facilities are a vital engine of the digital economy, storing data, hosting websites, and enabling cloud-based applications. Data centers are virtual data factories that make productive use of electricity, with measurable economic impact on gross domestic product, employment, and government tax revenue (Dutch Datacenter Association 2017). Data centers consume lots of electricity to power computer equipment and keep it cool. 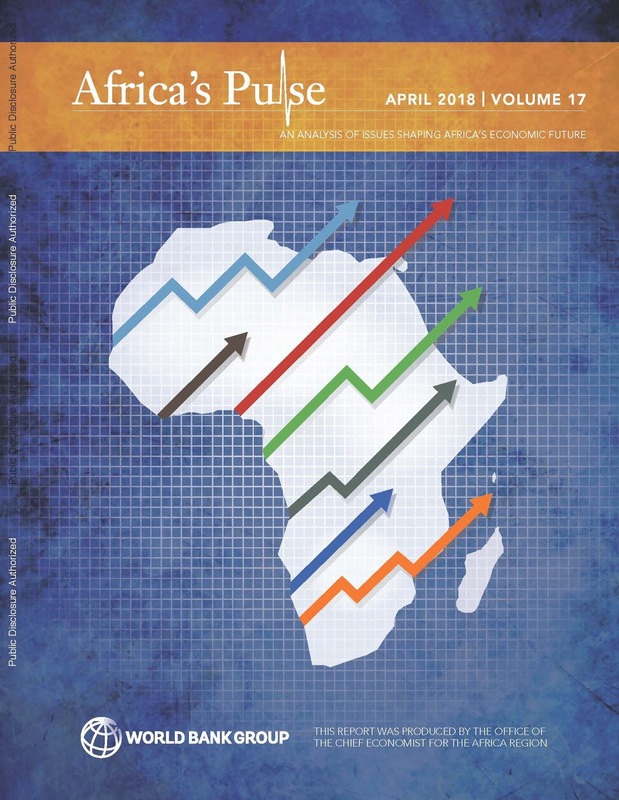 In 2011, Google reported that it used 260 megawatts of electric power for its data centers (Glanz 2011), which is greater than the 2014 installed capacity in 19 Sub-Saharan African countries (Trimble et al. 2016). Data centers require high levels of reliability to ensure a seamless, nonstop flow of data. Reliability is defined by industry standards, ranging from 99.67 percent availability with no more than 29 hours of interruption per year for tier 1 data centers, to 99.995 percent reliability with just 0.8 hour of interruption per year for the highest tier 4 centers. Most Sub-Saharan African nations would find it difficult to meet even tier 1 reliability. The standards also call for a guaranteed source of electrical backup that can power the center for at least half a day (Uptime Institute 2012). Lack of enterprise-grade reliability requirements for industry certification generally rules out the feasibility of large data centers in many Sub-Saharan African countries. Although virtually every country in the region has a data center, the centers are small, serving a narrow set of business and government users. Due to the region’s challenging environment for reliable and inexpensive electricity, most businesses host their data outside the region. This results in a large volume of data transmitted to overseas data centers, requiring significant amounts of international Internet bandwidth. Along with connectivity and storage costs, it takes a longer time to access overseas data centers, raising latency. Security is an issue, as increasing amounts of government, business, and personal information are transmitted abroad, with vague data protection. To build up its national data center industry and improve latency, Rwanda launched an initiative to repatriate 1,000 websites hosted abroad (RICTA 2015). An analysis of the program found that quality was improved for domestic users due to faster access to the sites (Internet Society 2017). Visitor engagement was high, with more page views and return visits due to the enhanced performance. The skills of web-hosting employees increased, due to technical requirements to manage additional websites. Although latency improved, it is still difficult to convince local businesses to place their websites in Rwanda, due to the lower price of hosting overseas. This is primarily because of the high cost of electricity for data centers in Rwanda. The government is contemplating subsidizing the cost of electricity for local data centers, to make local hosting more attractive, improve latency, and strengthen data sovereignty (Minges 2017). Despite concerns about reliability, there is growing interest in installing large data centers in the region to achieve better latency and reduce the cost of international bandwidth. In 2017, Microsoft, one of the world’s largest owners of data centers, announced it would build two data centers in South Africa, to support its cloud-based services. Notably, South Africa’s electricity supply is considered the second most reliable in the region after Mauritius (Afrobarometer 2016). The new data centers will have faster speeds compared with accessing cloud services in Europe or the United States; international connectivity costs will be reduced; and trust will be increased, as the centers will have to comply with South Africa’s data protection law (Marston 2017). Electricity reliability is critical for other countries in the region that want to develop their digital economies. 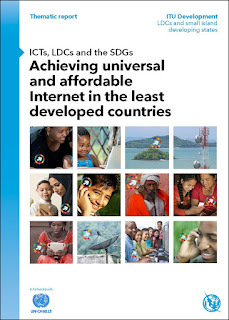 This report analyzes ICT developments in the LDCs and tracks progress towards achievement of Sustainable Development Goal (SDG) Target 9.c, to "significantly increase access to information and communications technology and strive to provide universal and affordable access to the Internet in least developed countries by 2020". 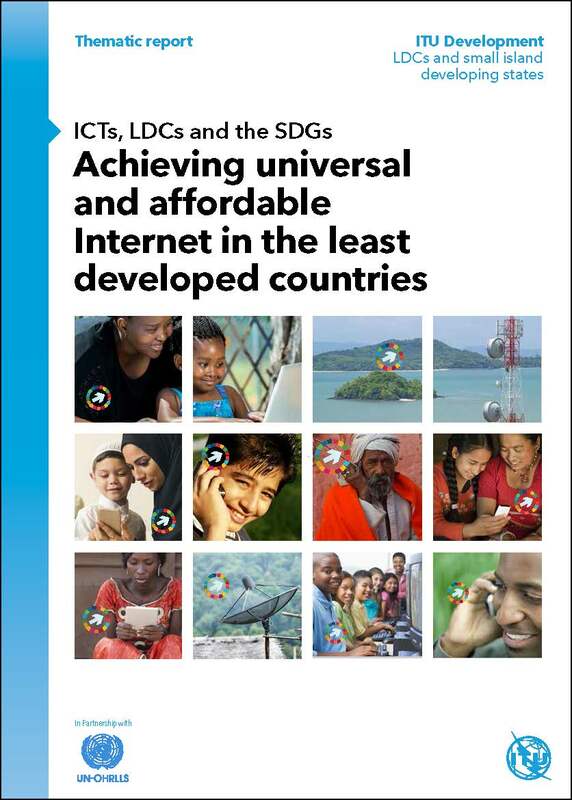 Its analysis is based on a new, three-dimensional framework which classifies LDCs into three categories based on their overall performance across the areas of access, affordability and skills. This will help countries identify areas that are most pressing and where to direct policy and scarce financial and human resources.